What is the true history of the founding of this Country? To many, history might be dry and boring, yet if we have a burning desire to understand what is truth, then history becomes vibrant and alive. History sheds light on our present world and also gives understanding for the future. It is through history that we find our roots, and has become the reason and object of why much of our history today has been throughly censored; so that our roots will be purposely obscured. The day is approaching, perhaps, when the only historians will be amateurs who study history as self-help, who examine the past in order to make sense of the present and not be caught unprepared by the future. Lopsided, slanted, and gone from history are the true factual events purposely hidden from history. When a nation has no true past history, the minds are molded by false history. False history makes the present fiction with out anyway to understand the future. This documentary confronts the little known beliefs of America's founders: What did the founders believe about Jesus Christ? Christianity begins with faith in the Person of Christ Himself: What did the founders think of Him? 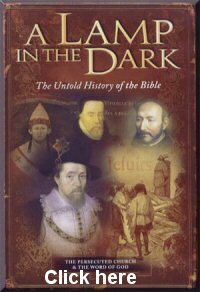 Suggest you Listen to " A Lamp in the Dark"
"The Hidden Faith of the Founding Father"